How exciting to be on the front page of one of the top 100 US web sites. Congratulations on the recognition of your growth, BlogHer! I remember when you were a tiny fledgling thing...my how you've grown. If you are new to kitchenMage, thanks for clicking by. 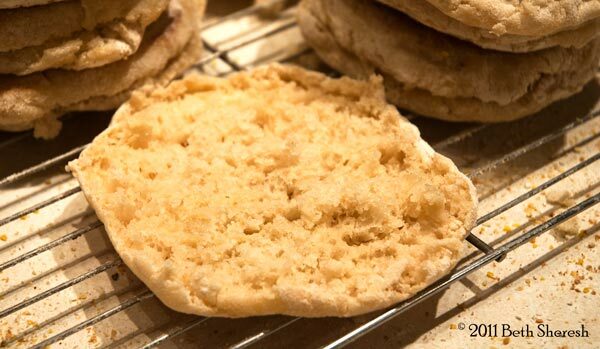 Perhaps you would be interested in a sampling of my most popular recipes: Simple, flaky biscuit recipe (1k+ Pinterest Pins and often #1 on Google! ), Small Batch Pioneer Woman's Cinnamon Rolls, No-cook ice cream recipe (yes, with eggs. I also rant occasionally: Dear PETA, women are animals too... and I am sort of chuffed that I got into Wikipedia for a bit of humor Cooks Source Statement: Slightly Corrected. Walt died in 1966, years before the guys who invented Twitter were born, yet one look at a twitter stream will show you that Walt's words are still true today. Twitter handles a staggering 22.5 million photos a day, according to twitter founder Ev Stone, about 25% of the 90 million total daily tweets. Media Bistro cites over 58 million photos were shared on Twitter in December 2011. I know that those two statistics don't exactly add up but to be honest, statistics about twitter vary widely enough to make me doubt the specifics of all of them. My guess is that if I bothered to dig, Ev's numbers would reflect retweets while the second number counts photos, not tweets. In any case, the numbers are huge and that's somewhat beside the point. Which is: What exactly are you sharing with the world when you tweet a photo? updated March 10th: Added how-to block pinning without advanced templates. Thanks to Typepad's support folks for the tip. While I am of the "Please pin my stuff" clan, there are others who are of the "Don't Pin me, bro!" tribe. For those folks, a short and sweet method for blocking people from pinning your pages. Go to your blog's Settings Page, Basics section. Add this snippet to the Blog Description field. I have it after the actual description on a test blog and it's working fine but this is a bit of a hack so please let me know if you see any weirdness. Download text file with the NoPinCode and instructions. Typepad does not have a Pinterest widget so we are on our own for the moment. By "on our own" I mean I figured out how to do it and here's how. Since they also seem to be looking to incorporate a Pin it button into standard templates, I expect this is what we get until then. There is a not-very-elegant workaround but my position on the problem stands. I'm talking to Typepad in tickets about the simple changes they would have to make to more fully support Recipe View. In the meantime, my transformation spell will include instructions on how to make it work on Typepad. See this for more. Let me just start with a giant WTF. If you hang around food sites much, you may have heard about Google Recipe View. It's a highly selective search method that Google conjured up recently. When you click on it, you are presented with a tiny subset of recipes that are available on big corporate sites like Epicurious. There are a handful of big blogs included at the moment (literally under a dozen) which is pretty pathetic when you consider the tens of thousands of unique and interesting food sites that exist. I expect that as Google begins to let blogs in - there is some mystical, black box method of selection - and sites provide useful data for the search refinements (it's largely useless now) it will be a worthwhile thing. For now, I am eschewing Recipe View for my personal use in favor of the broader and more interesting searches available with all of the web or even just blogs. Give it a while to mature. In the meantime, there is a lot of work to be done by bloggers who want to have their recipes show up. Things like recoding every single recipe post with a seriously painstaking mass of code. This is an awful lot of work and many people are opting to wait until there are tools available that make it simple to meet Google's requirements. We are sorry. So sorry. We do not know how the hell that happened. I mean, we thought we hired a professional editor and we got...well, you know what we got. We have cancelled lost control of our Facebook page on Thursday, November 4th, 2010 at 6:00PM. It has since been since been hacked by unknown parties and now someone else (I think this is a known unknown, not an unknown unknown.) unknown to us has control of it. Their inclusion of Cooks Source issues and photos is used without our knowledge or consent. (Really? You're going with they used your content without your consent? Really? Might I suggest you STFU instead.) Please know that none of the statements made by attributed to either Cooks Source or Judith Griggs were made by either our staff or her. On the other hand, that arrogant and ignorant email she sent to Monica Gaudio? All Griggs. Yeah, I know. We don't get it either. What do we get? That we are sorry. Very sorry. Update: Suggestions for new words will be accepted until Monday, Oct 11th at midnight. Voting will begin on Tuesday the 12th. As a writer, I have the privilege of making up words and shoving them into books as if they belong there. I do this knowing that it gives the word a certain veritas to make it to the printed page; as a tyke in a bookshop said, "It MUST be a real word, it's in a book!" Okay, the truth is this. When I heard this kid at the store, someoneElse and I had just been discussing terms we made up for a book we were writing and I cringed at the power authors were being handed. Now I embrace the ability to create (or reuse) a word that encapsulates an idea beautifully and set it loose in the world. Words like fruffle - a cross between fluffy and ruffled, coined for a very fruffly furling; Or entanglement - our term for what someoneElse and I are to each other. Cute words for cute things. Who could object?